Our facility offers Light (Nitrous oxide or Laughing Gas), Moderate sedation or Full sedation for children or adults. We have a cozy, inviting waiting room, a full General Anaesthesia and Recovery suite, with a team of Medical Anaesthesiologists and experienced Emergency room registered nurses who work hard to make sure your dental work can be completed in a Calm, Safe and Pain-free way. You or your child will never need to feel a dental needle ever again! Our practice is committed to comprehensive and complete dental care, from thorough diagnostic examinations and preventative dentistry to advanced cosmetic and restorative procedures. 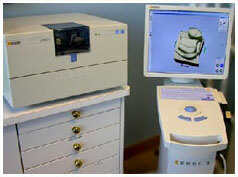 We have state-of-art digital dental radiography for patient comfort and care. This x-ray system delivers the smallest amount of radiation with the benefit of extremely detailed diagnostic information. 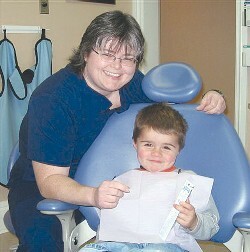 Kidzkare - Dental visits for kids 9 and under that are fun and educational. Click here for more information about our wonderful kid's program at our office. Our office has a special focus on Cosmetic Dentistry. We have the tools and technology to improve your smile. To learn more about teeth whitening, click here!